Motorola has already updated the Moto X4, and the Moto Z2 Force to Official Android 8.0 Oreo. Now, it seems that Motorola is internally testing Android 8.0 Oreo for the Moto G4 Plus. 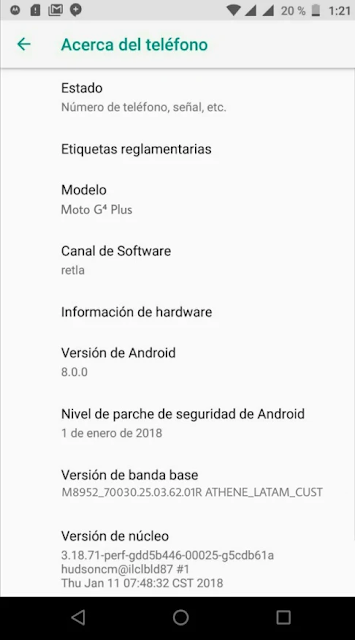 The confirmation came from a screenshot of Moto G4 Plus running Android 8.0.0 Oreo with January 2018 Security patch. The Screenshot clearly shows Moto G4 Plus with codename Athene and channel Retla running internal Android Oreo with January 1, 2018 Security Patch. The Android 8.0 Oreo update for the Moto Smartphones may bring new Moto Key application that let's you securely save passwords, Moto Alexa, and new Moto Live Stream. Stay tuned to our Facebook and Twitter page to get the first News. 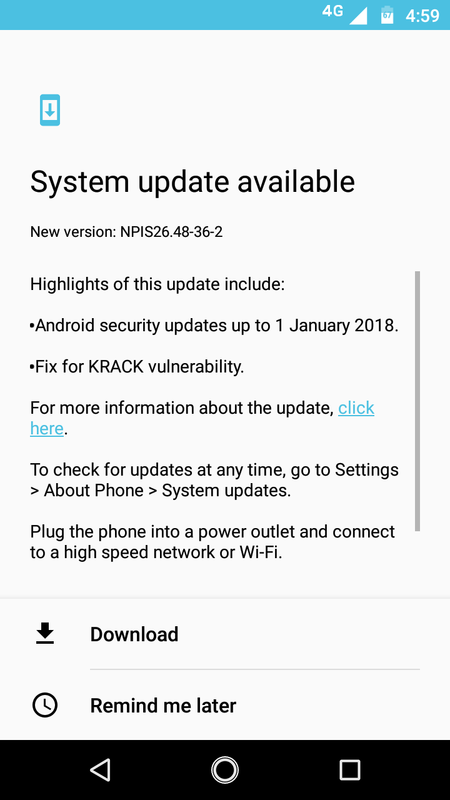 Moto G4 Plus has picked up a new software update that introduces the January 2018 security patch. 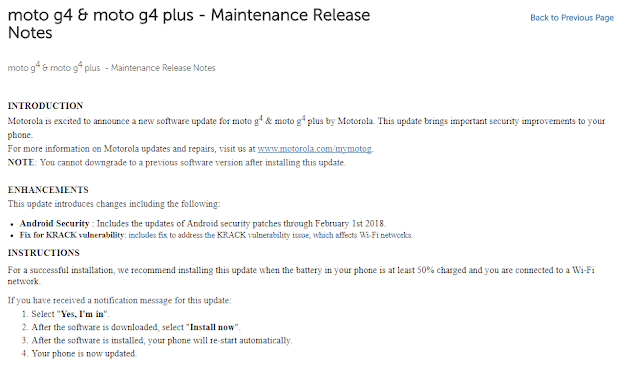 If you own a Moto G4 Plus in the Brazil or India you should have received the over-the-air update notification for January 1st, 2018 Android security update. That’s all that is detailed in the new software version (NPIS26.48-36-2), though there is a mention of "KRACK" Fix. It’s a WiFi vulnerability that breaks WPA2 by forcing nonce reuse. The Moto G4 and Moto G4 Plus just got its latest software update with latest Android security patch, bug fixes, and improvements. If you own a Moto G4 or Moto G4 Plus in Mexico,Germany, or France you should have received the over-the-air update notification for December 1st, 2017 Android security update. We will let you know once the update is out for other countries. Stay tuned to our Facebook and Twitter page to get the first News. The Moto G4 Plus (retin) is now getting the latest September Security patch with Stability Improvement and Bug fixes. 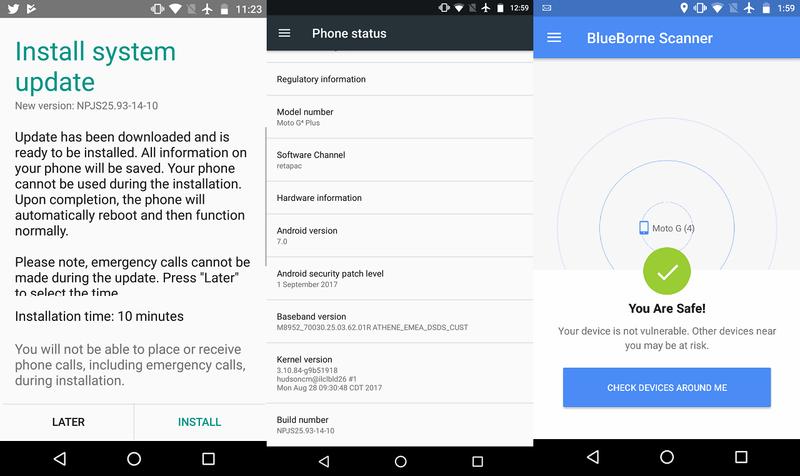 If you own a Moto G4 Plus in India you should have received the over-the-air update notification for September Security Patch, and it's crucial that you download it, as it brings along the fix for the critical BlueBorne Bluetooth attack. The September Android security update for the Moto G4 Plus comes with build no. NPJS25.93-14-10. For a successful installation, the battery in your phone should be at least 50% charged and your device should be connected to a Wi-Fi network or LTE. If you haven't got the notification of this new software update yet, Just go to Settings - About Phone - Software updates, and It will automatically start downloading the latest update. The update will take around 10-15 minutes to get Installed on your device. Stay tuned to our Facebook and Twitter page to get the first News. Just a little few days back, Motorola announced the list of Moto devices getting Android 8.0 Oreo update. In a move that disappoints Moto G4 Plus users, Motorola eliminated the 2016 Moto G series from that list. Additionally, Motorola removed all mentions of Android Oreo from the Moto G4 Plus product page. The page had previously said the device would get Android “versions N and O,” but the O part was removed. In other words, Motorola will now update the Moto G4 Plus (Not the Moto G4 or Moto G4 Play) to Android 8.0 Oreo. However, it might take too long for the update to reach the Moto G4 Plus devices. Thoughts? You can now download and install the LineageOS 15 based on Android 8.0 Oreo on your Moto G4 Plus (Moto G 2016) Smartphone. Well, if you are a Moto G4 Plus owner, then this recent development might be of interest to you. Developer "Dreamstar" Nikit Sharma has successfully ported Android 8.0 Oreo LineageOS 15 on the Moto G4 2016. Additionally, most major aspects of the phone are working as expected (such as RIL, WiFi, Bluetooth, etc. ), but it's still not suitable for daily use. You'll need to Unlock Bootloader and Install TWRP Custom Recovery in-order to Install the LineageOS 15 Android 8.0 Oreo Rom on Moto G4 Plus Athene. You can grab the Custom Rom ZIP file from below. 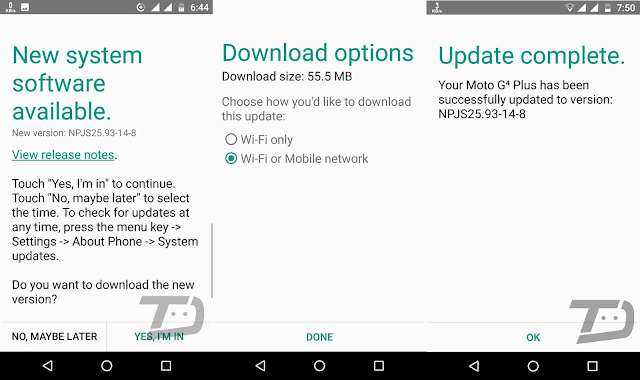 Motorola is now pushing a new software update for the Moto G4 Plus in India with Build no. NPJS25.93-14-8 and it comes with the latest security patch. It weighs in at around 55MB. The update is already rolling out to the users of Moto G4 Plus in India. If you did not receive the update wait for few days or try checking for it manually by heading over to system updates section in the Settings app. The Moto G4 Plus smartphones in Brazil are now receiving latest March, 2017 Android security patch. 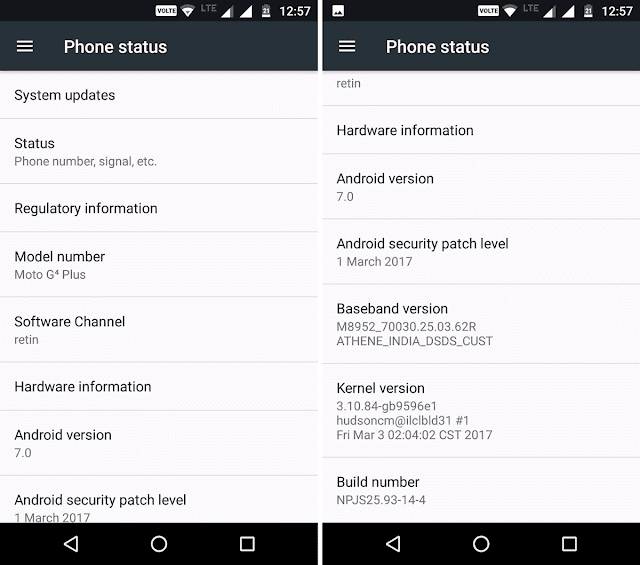 This software patch contains Google’s critical security updates for the Android 7.0 Nougat operating system. 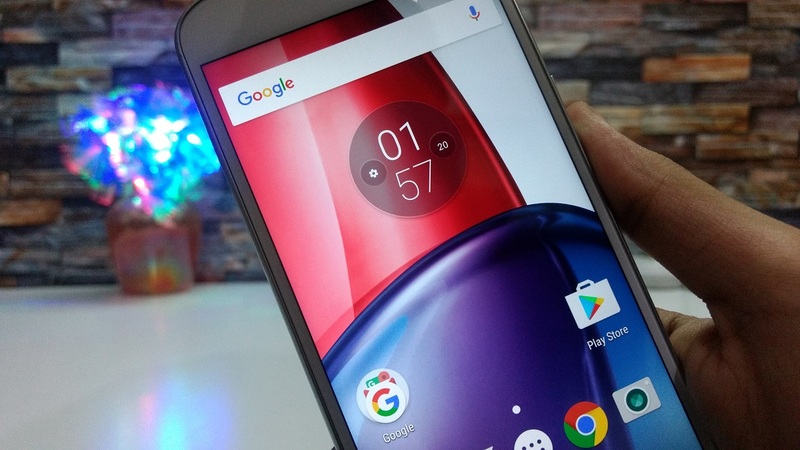 Moto and Lenovo has unveiled a new Moto G family at MWC, a family that includes two 5th Generation Moto G(s), the Moto G5, and Moto G5 Plus. 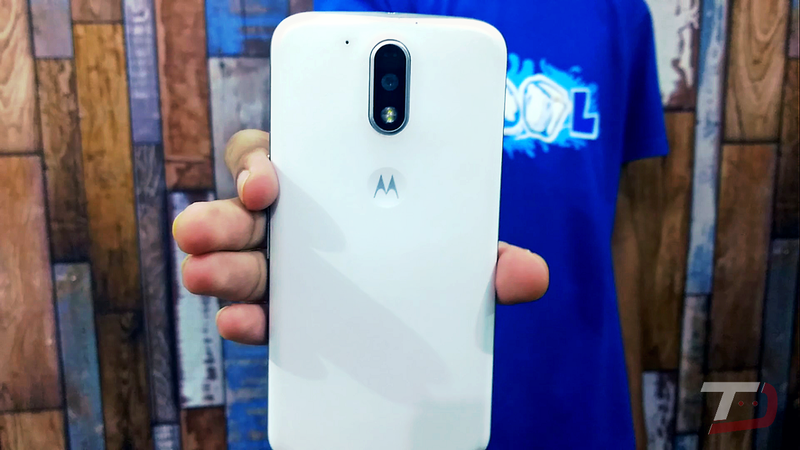 The Moto G5 Plus sports a 2.0GHz Octa-Core Qualcomm Snapdragon 625 processor paired with 3GB/4GB RAM/32GB ROM, while the Moto G4 Plus features a 1.5GHz Qualcomm Snapdragon 617 octa-core processor with 2GB/3GB RAM and 16GB/32GB memory options. 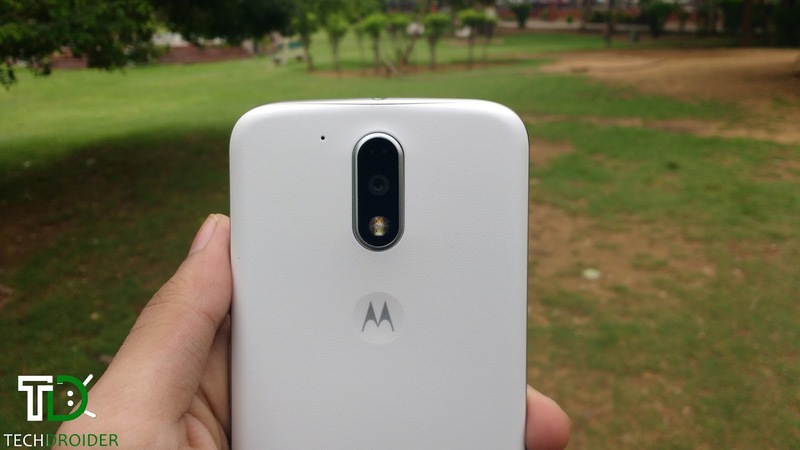 The Moto G5 Plus comes with a 12-megapixel camera on the rear with dual autofocus and dual-LED (dual tone) flash, the Moto G4 Plus comes with a 5-megapixel front, f/2.2 wide-angle and 16-megapixel camera on the rear with f/2.0 aperture, laser and phase detect autofocus. 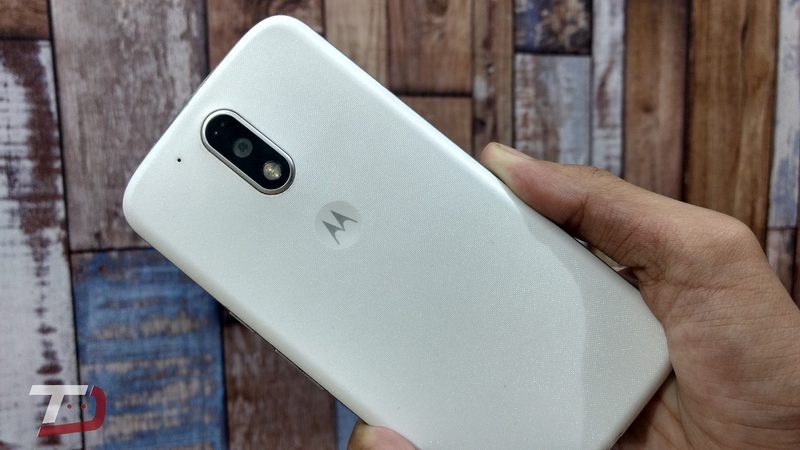 The all metal body Moto G5 comes with Fine Gold and Lunar Grey color option, while with the plastic build, the Moto G4 Plus comes with White and Black color option. The G5 Plus has a complete revamp design. What's your pick? Moto G5 Plus or Moto G4 Plus? Share your thoughts in the comment below! 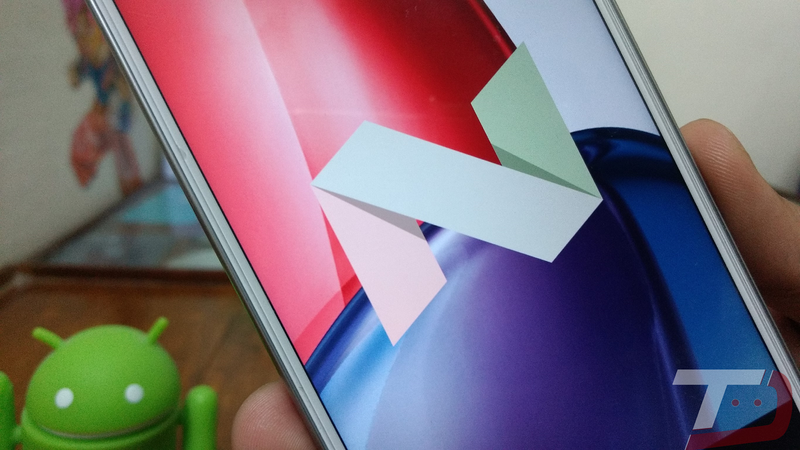 Motorola has already updated the Moto G4 Plus and Moto G4 to Android 7.0 Nougat. 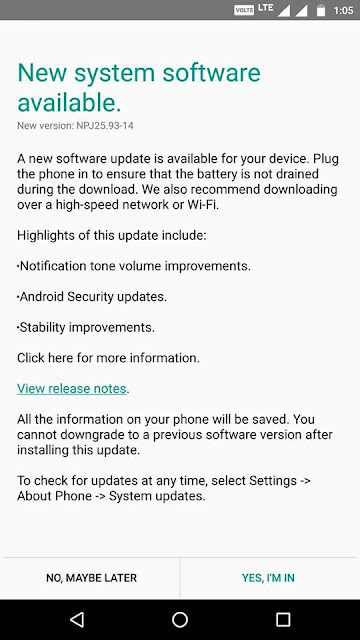 However, The Moto G4 Plus is now getting a new software update with Security Patches, bug fixes and Stability improvement. This new update contains December, 2016 Security patch, Notification tone volume fix and a new OS update animation, It costs around 114MB. 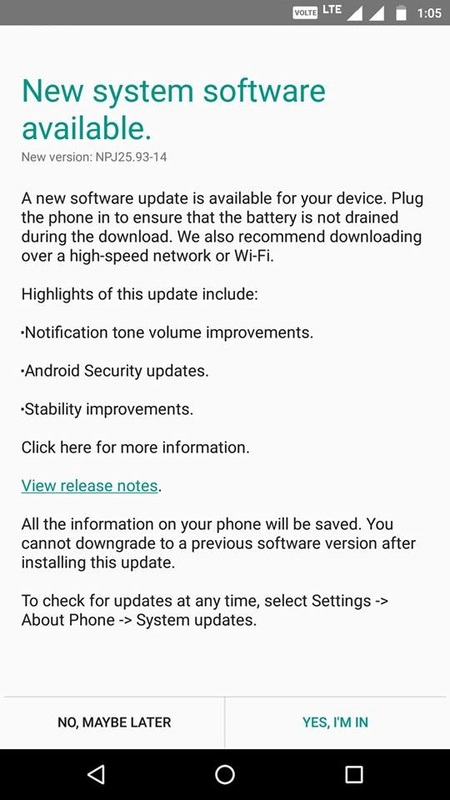 This update is available for both the Moto G4 Plus users running Soak test and Official update. Notification tone volume: We have introduced improvements to the volume of the notification tone. Android security: Includes the updates of Android security patches until January 1st 2017. After a bunch of Soak tests, Motorola has started rolling out Official Android 7.0 Nougat update for the Moto G4 Plus in India. The new update contains Google's latest Android 7.0 Nougat, New Moto Actions and much more. 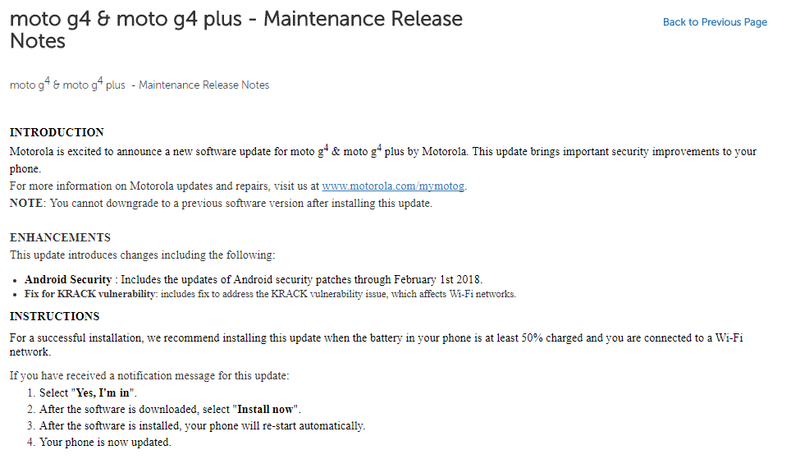 This update is rolling out in batches, So not everyone will get the update right-away but it should reach your Motorola phone in the coming days. Haven't received the notification yet? Just Go to Settings > About Phone and Software update! It is probably the best New Year Gift from Motorola to Moto G4 owners, Comment below if you have or haven't received the update yet! The new Moto M is Motorola's first all-metal smartphone. This new device is priced between the Moto G4 Plus and the Moto Z Play. The Moto M comes with a Mediatek Helio P15 Processor paired with 3/4GB RAM while the Moto G4 Plus features a Snapdragon 617 Processor paired with 2/3GB RAM. The Gaming and Overall performance of the Moto M is not so great while the Moto G4 Plus handles high-end Games just fine. The Moto G4 Plus sports a 16-megapixel camera on the rear with f/2.0 aperture, hybrid autofocus (phase detection plus laser autofocus) and dual-LED (dual tone) flash, the Moto M comes with a 16-megapixel camera on the rear with f/2.0 aperture, phase detection autofocus and LED flash. The Moto M finds it difficult to focus quickly, but the Images taken by Moto M are more sharp and vibrant than the Moto G4 Plus. The Moto G4 Plus comes with more software features including "Moto Actions" and "Moto Display" which are quite handy, while one can't use these Actions on the Moto M.
The Moto M comes with a hybrid card slot in which one can insert either two Sims, or a MicroSD card and a Sim, While the Moto G4 Plus allows you to insert a MicroSD card and two Sims at the same time. 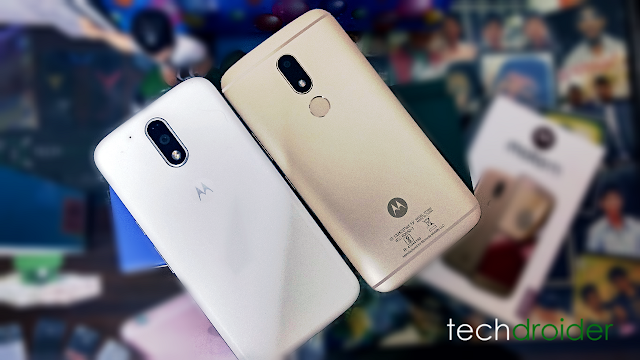 The Moto M is an all-metal smartphone, which looks more premium than the Moto G4 Plus, which has a plastic build. What's your pick? 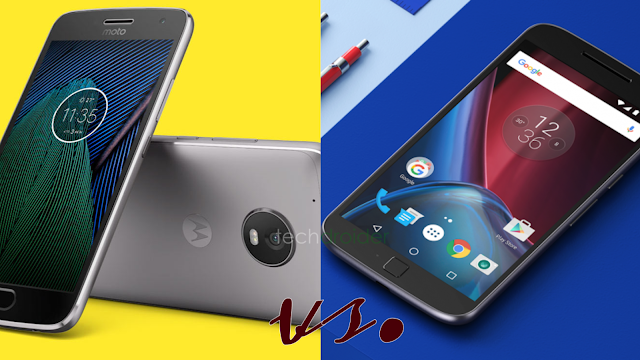 Moto M or Moto G4 Plus? Share your view in the comment below!